The building had clearly defined forms of a very regular, symmetrical plan. The overall appearance was one of simplicity when compared with the Gothic buildings that were to follow. Growth and Influence: The fast-growing community at Cluny required buildings on a large scale. 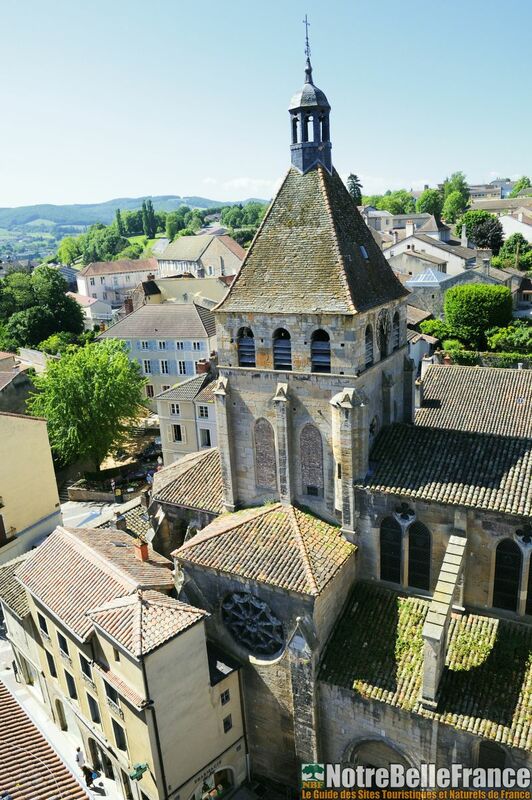 The examples at Cluny profoundly affected architectural practice in Western Europe from the tenth through the twelfth centuries . The three successive churches are conventionally called Cluny I, II, and III. In building the third and final church at Cluny, the monastery constructed what was the largest building in Europe before the 16th century, when St. Peter's in Rome was rebuilt. The construction of Cluny II, ca. 955-981, begun after the destructive Hungarian raids of 953, led the tendency for Burgundian churches to be stone-vaulted.